This one-stop-shop caters to all your beauty, wellness, and active lifestyle needs in one place. Living a holistic life means taking all aspects of personal wellness into account. 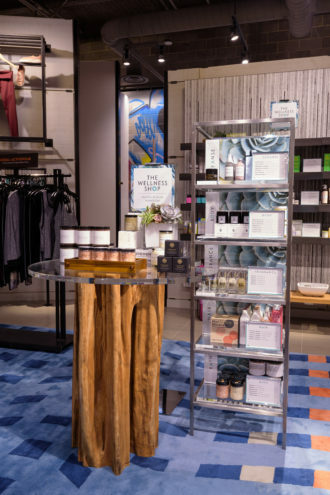 Thankfully, Neiman Marcus recognized this, and has made it easy to shop all of our healthy lifestyle needs in one place with the launch of their Wellness Shop, found exclusively in their NorthPark and Willowbend locations starting this June. Health and wellness is becoming a large part of the Neiman Marcus active experience. The Wellness Shop is installed alongside the brands such as Alo Yoga, Tory Sport, Blanc Noir in the activewear section (the second floor at NorthPark). Shelving units, towers, and tables are stocked with an edited array of products from brands that make organic, clean beauty a priority, including French Girl Organics, Vintner’s Daughter, Tata Harper, Grown Alchemist, and more. Stop by the wellness one-stop-shop and make your personal health and wellness routine a priority. Your body and mind will be glad you did. The Wellness Shop will be expanding to locations in Los Angeles, San Francisco, and Michigan Avenue in August 2017. Taylor Freetage is a D Magazine Online Editorial Intern.